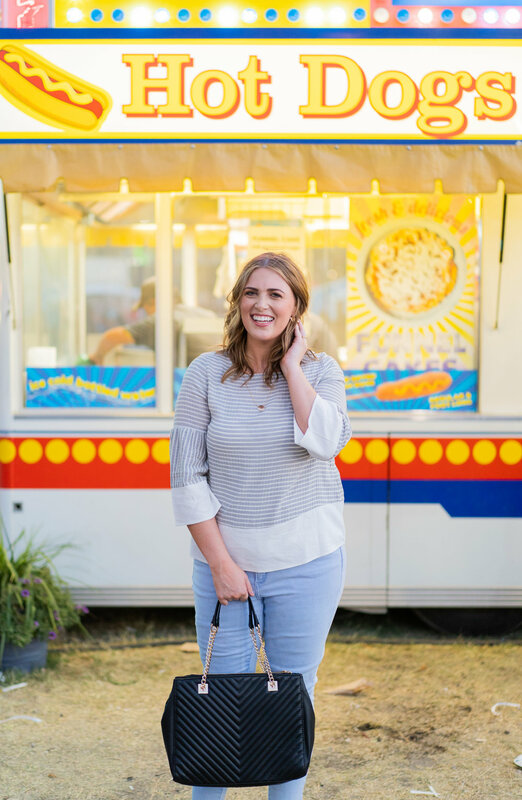 Just a girl at the fair casually posing in front of the cotton candy booth!! 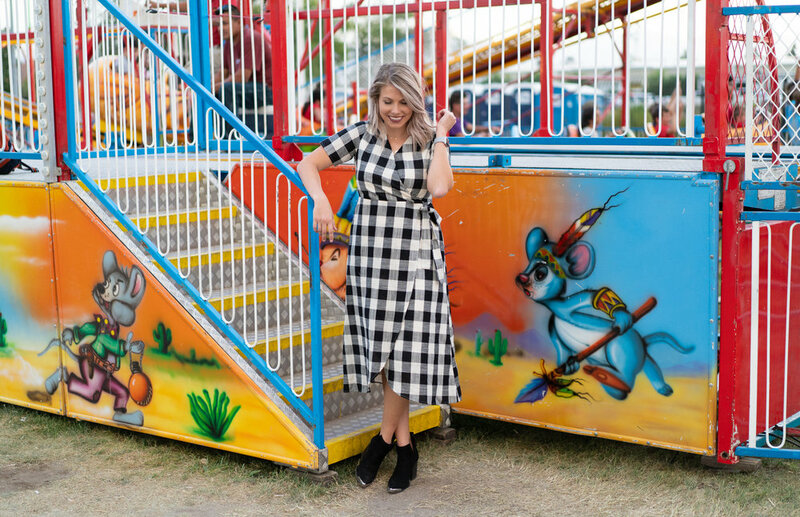 Trip 2 to the State Fair this week was for a lifestyle shoot for a brand I style for!! I have been working for this brand for almost 4 years!! This weekend I gathered up my babe friends, my v talented photographer babe husband and a duffle bag full of shoes and headed into the fair. 1. MASSIVE amounts of humans walking between my models & the camera. DAM people are unaware of what’s happening around them! 2. Major Gusts of HOT wind: blowing hair into faces and dresses to places they shouldn’t be. Despite these REAL issues ma man candy pulled thru (per usual)!! Here are a few of the little number’s I was able to style. And yes, thats me….I hopped in for a few pictures bc we were a short a model! These are products from Sweet Salt Clothing’s Fall Line!! Dropping soon!